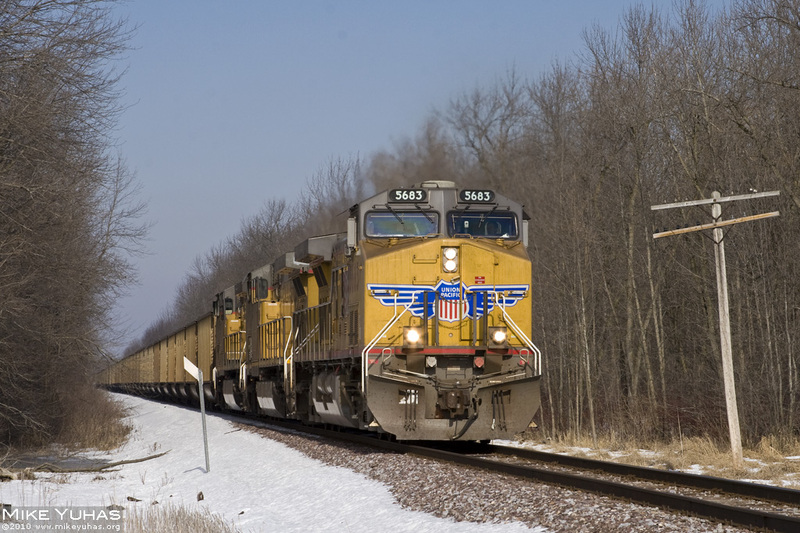 Coal empties roll south on Union Pacific's Shoreline Subdivision. Three units on the head end is unusual. Preferred operating practice seems to favor DPU operation.